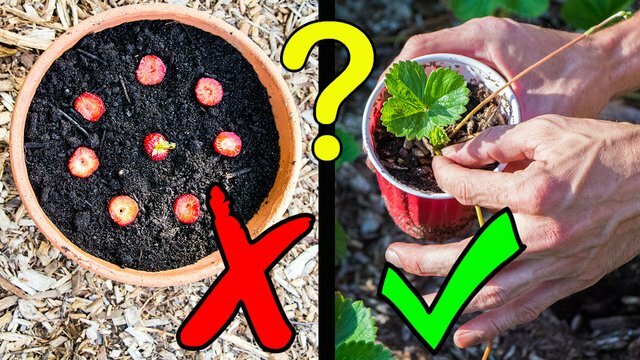 How to Get FREE Strawberry Plants! This is great advice. You can get so many plants from only a few. I also like to take cuttings off my tomatoes from the bottom smaller limbs that won't get enough light to fruit. Another great video love all the berries. Thanks @liberyworms, I’m glad you enjoyed it. Yup!! Can you plant from seed. I had some AMAZING store strawberries the other day. Mine are OK but the store ones were a special variety that were way better. brilliant method of pushing down the runners gently and top coating! You got a 6.71% upvote from @upmewhale courtesy of @gardeningchannel!